Ethics and Narrative Research – A Contradiction in Terms? In April 2007 I began my dissertation towards an MA in Educational Research at the University of Sheffield. Entitled ‘An evaluation of the experience of doing life history research: A case study’ its purpose was to confirm (or otherwise) my ‘hunch’ that life history would allow fidelity to my professed research philosophy. I will elaborate on this later but the thinking that underlies all my research endeavours is to do feminist research with an ethical aim, a moral purpose and a reflexive impetus. I had been introduced to the notion of ‘narrative research’ in the taught components of the above MA and felt that that this was for me. 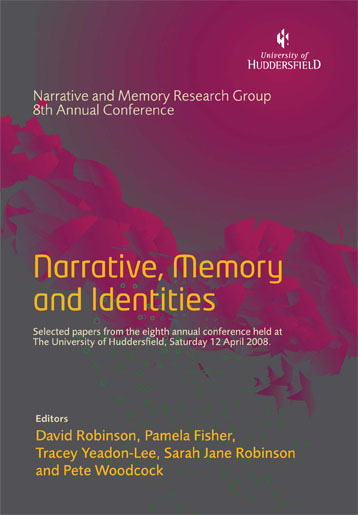 By ‘narrative’ I mean a particular type of discourse, that is ‘the story’, ‘the type of discourse that draws together diverse events, happenings and actions of human lives’ (Polkinghorne, 1996:5). On this understanding it dawned on me that I had already unconsciously undertaken such research years earlier for an MA in Women’s Studies (Novakovic, 1993) but had failed to grasp this fact because I was working with letters rather than with oral accounts. So I will first spend some time setting out why I was powerfully drawn to doing narrative research. Then I will mark the points where this brought me into potential conflict with concerns over research ethics, including a more fundamental consideration of the compatibility of narrative research with ethical practice. Finally I will sketch out how a life history methodology provided a way to address, but not definitively resolve, these issues.